Meaningful lacrosse is still months away, yet it’s already been an eventful fall for the Syracuse men’s team. Since students returned to campus, the Orange began its fall practices and scrimmages, announced its 2017 recruiting class, abruptly ended all organized activities and commitments when at least one player contracted mumps, started participating in a 10-episode documentary on the season, and announced who will wear one of the team’s most important numbers. John Desko welcomed 18 freshmen and one transfer to the team this year. The 2017 class features seven players ranked in Inside Lacrosse’s top-100 and eight players ranked in the publication’s top-31 at their respective positions. Syracuse’s group was good enough to land in Inside Lacrosse’s top 5 incoming classes, behind Notre Dame, Maryland, Duke and North Carolina. Lucas Quinn, a midfielder from Niskayuna High School (N.Y.), and Owen Seebold, a midfielder from Highland Park High School (Texas) were two of Desko’s best grabs. Quinn, rated 13th in the Inside Lacrosse Power 100 Freshman list, helped lead Niskayuna to a state championship in 2015. He’s known for his dodging and quick release. Seebold is rated 20th on the same list and could become the team’s quarterback from behind the net. Interestingly, it seems Desko and his assistants have been casting a wider geographic net in their search for talent. The class includes players from 10 different states and Canadian provinces. Could the mumps derail the 2018 Syracuse men’s lacrosse season before it even begins? To be sure, it’s incredibly early to say for sure—and it’s best that the outbreak is happening now instead of the regular season—but this certainly won’t help. At least one men’s lacrosse and one women’s lacrosse player have been diagnosed in the mumps outbreak on campus. Since the Syracuse Office of Health Services announced two confirmed cases in the student body in late September, 25 additional cases have been confirmed and 45 others are probable, according to Onondoga County and university officials. 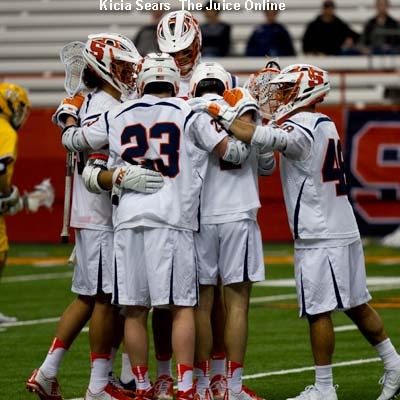 » Related: The fate of 22: Who’s got next for Syracuse lacrosse? The outbreak has led to the cancelation of all men’s and women’s lacrosse events, and all organized activities were canceled for three weeks beginning Oct. 6. The fall season is when the team builds chemistry and newcomers acquaint themselves with the program. 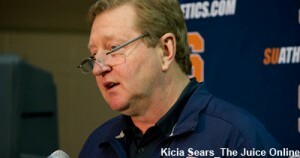 With a sizeable freshman class and several positions up for grabs, the Orange may be behind the curve already. Desko must be worried, but perhaps he can salvage some of the team-building process if practices can resume soon. The university has isolated infected students, sanitized all areas with which the students came in contact and notified all people who may have interacted with the affected students. Coincidentally, the NHL also is dealing with a mumps problem; players and coaches on several teams are infected. According to the CDC, a major factor contributing to outbreaks is playing on the same sports team. As exciting as it is to write about mumps, I can’t wait to see how and whether it will be depicted by the documentary crew covering the team. Before any of the outbreak news hit, Syracuse announced it would be part of Inside Lacrosse and STX’s “The Season”—a yearlong series that follows four lacrosse programs: Duke, North Carolina, Ohio State and Syracuse. While it’s a multi-platform effort, “The Season” will center around 10 episodes. Filming began in September and will continue through Memorial Day weekend. The first episode was released in mid-October, and if the rest of the series follows in the same vain, it will provide a fascinating look at the four programs. 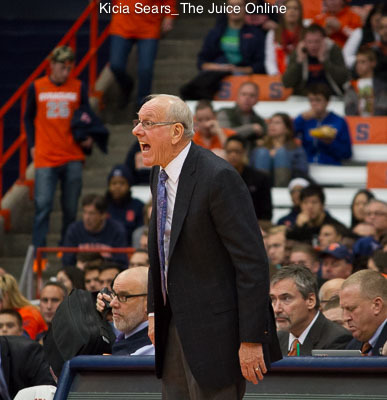 For Syracuse, I’m excited to see how Desko addresses the team behind the scenes, which players emerge as leaders, how all deal with the expectations and demands, and what it’s like as they prepare for games, especially against rivals. 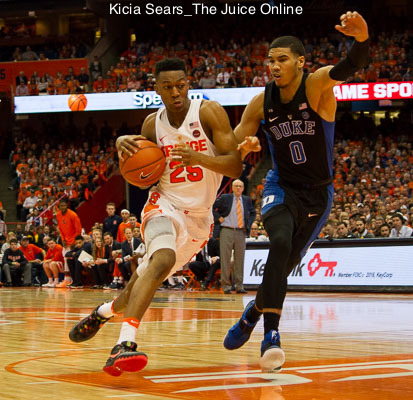 Without as many practices, preseason scrimmages and events to cover, how will Syracuse be portrayed going forward? Will we get a behind-the-scenes look at the mumps outbreak? In the first episode, Desko talked a bit about what No. 22 means to the program and who might rise to the challenge of wearing it. With the previous holder, Jordan Evans, graduated, the number is available for the first time in four years. That seems to be the right approach this time and with this team. I wouldn’t be surprised if the number goes unassigned this year. Meanwhile, the defense’s most prominent number, No. 11, has been awarded to long-stick midfielder Austin Fusco. The junior collected 32 groundballs and caused eight turnovers in 2017, and 28 groundballs and 10 caused turnovers in 2016. Fusco and the rest of the Orange defense allowed just 10 goals per game last year. He’ll combine with Nick Mellen to form the backbone of the 2018 defensive unit. Mellen turned heads as a freshman, but missed all of the 2017 campaign with an injury. If Mellen stays healthy and returns to form, he may very well become the next No. 11.